Long Story Short is an 8 minute film showcasing the incredible lives of two Beyond Words clients who share insights into life, love and loss in a nursing home. 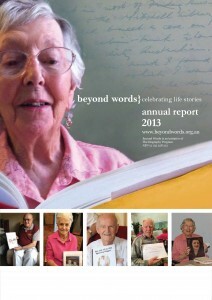 Our Annual Reports outline our achievements each year, reflecting on the greater meaning and social impact of our work, financial position, plans for the future and acknowledgments of our supporters. 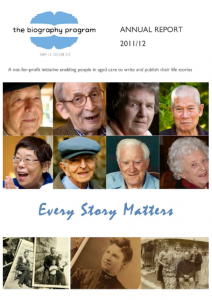 COTA News – COTA Vic is supporting an exciting initiative that will train volunteers to capture and publish the life stories of people in aged care. Our e-newsletters are a great way to stay updated on the progress of Beyond Words, achievements, news, events and volunteering opportunities.